Ken is a graduate of Louisiana State University, where he received a Bachelor of Architecture Degree from the School of Environmental Design and the Department of Architecture. He is the owner of Jones Design/Builders, LLC. 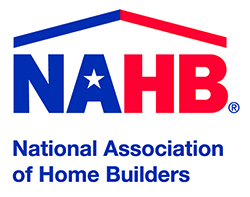 He is both a licensed general contractor and licensed residential builder in Louisiana and is a life director on the board of directors, National Association of Home Builders (NAHB), former president of the Louisiana Home Builders Association and is current chairman of the LSLBC Residential Committee. Ken also holds an appointed seat on the Louisiana State Licensing Board for Contractors, Commercial Division and formerly held a position in the Residential Division.